After giving birth, my quest for a fit body was sort of put in the back burner. I figured, it would "just happen" but deep inside I knew, that was impossible! I have tried everything and I am still trying. My fats have taken permanent residence in my body and I am hopeless. But deep inside I knew, I have to keep moving. I have to burn the fats and work hard to get that leaner, healthier body that I am dreaming of. So almost 2 years and a few pounds later, I am back to where I started - in search of a slimmer, healthier body. Lucky me, I was invited by Tonette of Health Junkie PH to join a bloggers night + workout at Hangtuff Fitness. is their very simple facade. You won't even notice it at first unless you read that giant GYM sign at the door. That was already a + sign for me, simple, no frills and unintimidating gym. I said to myself, I might just love this place. And I did! Group shot with fellow bloggers and dance instructors of Hangtuff Fitness Gym. 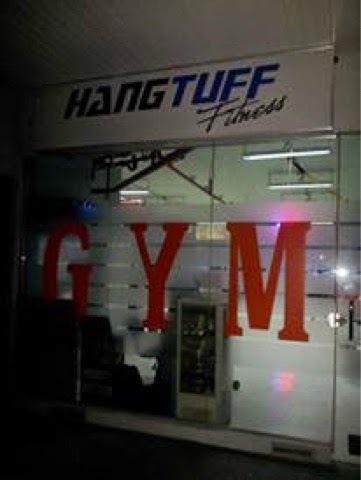 "Hangtuff Fitness" is a unique and personalized gym.We are a small provider with big ideas. We aim to offer personalized and professional approach to your fitness requirements. Hangtuff Fitness has been over 4 years with planning and registered at SEC back in 2013. The idea and concept comes from an Australian citizen who has passion for fitness and healthy lifestyle. He believes that you don't need to be a gym junkie to feel and see the benefits of regular exercise." I together with other bloggers were invited to try their workouts for one night. And my most liked was the Zumba dancing slash Hip Hop Dance workout. I worked up a sweat! It was groovy, fun and exciting! Something I plan to do as a regular workout. What I like about the place is that it's within reach from where I live and that they offer affordable workouts and use of their facilities. "At Hangtuff Fitness, we work on feeding the mind as well as exercising the body. We use good old fashion friendship, encouragement from both fellow gym goers, colleagues as well as our staff to get you started and keep you on track"
And who doesn't want to have a workout buddy right? "Class based training means our instructors are there for every minute of your class. Ensuring that you are exercising correctly and getting the best possible results from every minute you spend training." Personal touch. That's should be the top on our list when we are looking for a gym, right? 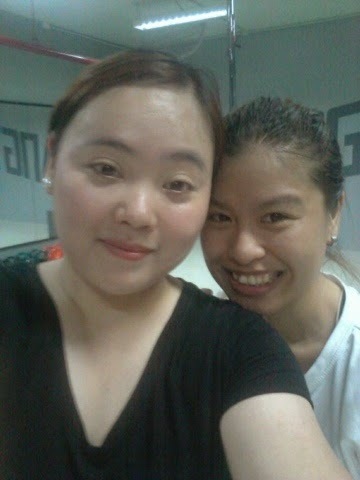 What better way to burn those unwanted fats and be more fit and healthy than working out with a friend? They offer that at Hangtuff Fitness. At Hangtuff Fitness, they offer a wide array of workouts that everyone, from beginners to junkies can take advantage of. Some of which are, hip-hop dance classes, circuit training, pole dancing and many more! For more information about their services, visit and like their FB Page Hangtuff Fitness, Follow them on INSTAGRAM: @hangtuffph2014, Website: www.hangtufffitness.com.ph or Call 0915.374.6508. What's you fitness goal this 2015? Try Hangtuff Fitness now! Saya naman! 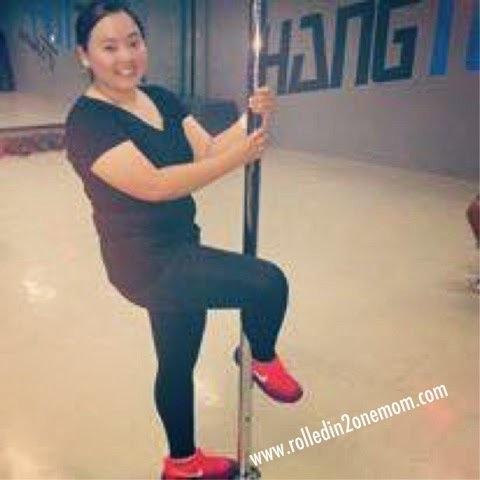 I'm also looking for Zumba classes in our area and within the time (and budget) available. In addition, the fitness book should discuss the direct benefits of any exercise to a golf swing. Many people are motivated to use an exercise or an exercise program once they read and understand how it will benefit their game.